MONTGOMERY, Ala. (AP) — A federal judge said Monday that Alabama has been “deliberately indifferent” about monitoring the mental health of state inmates placed in the isolation of segregation cells. U.S. District Judge Myron Thompson issued the ruling days after attorneys for inmates said the suicide rate in state prisons has reached a crisis level. “The court finds that the (Alabama prison system’s) failure to provide adequate periodic mental-health assessments of prisoners in segregation creates a substantial risk of serious harm for those prisoners,” Thompson wrote in the 66-page order. 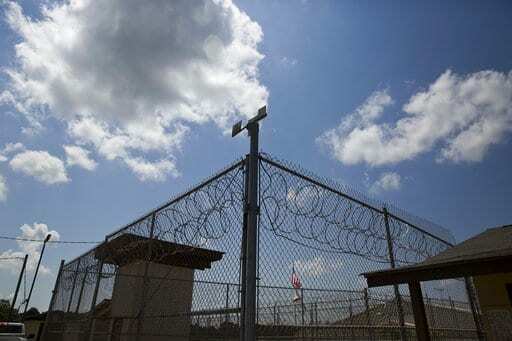 Alabama Department of Corrections spokesman Bob Horton said the department is reviewing the decision. Thompson in 2017 wrote that mental health care in state prisons was “horrendously inadequate” and violated the Eighth Amendment’s prohibition on cruel and unusual punishment. In his Monday order, Thompson said the failure to adequately monitor inmates in segregation contributes to the unconstitutional conditions. Thompson directed the prison system and attorneys for inmates to confer on how to proceed. The Southern Poverty Law Center, which is representing inmates in the ongoing class-action lawsuit over prison mental health care, praised the decision. “It has been evident for years that ADOC has failed to identify, monitor, and properly care for people who have serious mental illnesses and who develop them in ADOC custody. That systematic failure has led to needless suffering, especially for people in segregation,” said Maria Morris, senior supervising attorney at the SPLC. The advocacy organization said Friday that there have been 13 suicides in 14 months. “People are killing themselves in our prisons because conditions are horrendous,” Southern Poverty Law Center President Richard Cohen said at a news conference with the families of inmates. The prison system said in a response Friday that it was working to address the issue, and said the suicide spike “calls into question the long-term effectiveness of the suicide prevention measures proposed by the SPLC” during the litigation.